Marlie and Me: I Went Bare-Faced with #EclosGoBare! 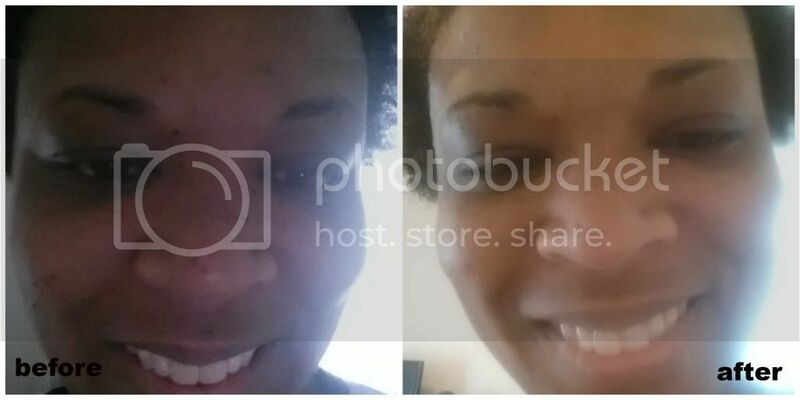 I Went Bare-Faced with #EclosGoBare! Do you know what's harder than having problem skin? The answer: growing up in a family of women with flawless skin. My mother and her mother both have amazing skin. Neither of them wear make up and they don't need to. I, on the other hand, have struggled with acne and blemishes since I hit puberty. I have a cadre of cosmetic products to hide behind such as concealer and corrective foundation. But what I want more than anything is to have the confidence to go make-up free. My wish was granted when Eclos beauty products reaches out to me with the Dare to Go Bare 2-week skin care challenge. I said yes because my skin has been a wreck from stress and hormones (Aunt Flo came back after I weaned Desmond). Not only is my skin clearer, the texture of my skin is unbelievably soft and bonus: the dark circles under my eyes are less visible! I did not put on a drop of make up to go to work today, and I do not feel self-conscious. I feel like I am putting my best face forward! Eclos is available for purhase through online retailers such as Amazon, Target and Walgreens. Become a fan of Eclos on Facebook. I was given a free product or sample because I am a Klout Influencer. I am under no obligation to receive the sample or talk about this company. I get no additional benefits for talking about the product or company. Thats good to hear. Its great finding what works best for your skin. Your skin is glowing! I saw some other friends doing this challenge recently. I like that Eclos is sold at Amazon, I do a lot of my beauty shopping there. It looks like you really had some noticeable results with the challenge! My daughter has problem skin so always love reading reviews of products that might help her. I tried out eclos a while back and LOVED it! It is so creamy! Love, love, love! I absolutely love the Eclos line. It feels so amazing and my skin always looks so great when I use it! I have not heard of this product. You skin looks amazing. I will have to give this a try too. Why is My Pediatrician Asking Me If I Own a Gun?